EKOSTAR Company is implementing integrated engineering solutions using energy-efficient technologies and renewable energy sources. 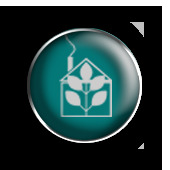 One of the main priorities of our company is environmental protection. Therefore, we are in continuous development and use of new environmentally friendly technologies; we do not reduce and even increase the level of efficiency and comfort of their systems for the consumer. Ekostar is the revolutionary new heating system that produces heat in a new way unlike conventional heating systems available on the market. Ekostar heat operates in the far (long-wave length) spectrum of infrared rays. Wavelengths from 5,6 to 20 micrometers relate to the remote part of infrared radiation. Our body emits infrared wavelengths from 6 to 20 micrometers, with a peak of 9,6-10 micrometers. Thus, heat of the human body is the part of far-infrared spectrum of sunlight and we perceive this heat as our own. It favorably affects our body. However, this radiation is only available during summer sunny days in direct sunlight - clouds, fog, ice crystals reflect it back into the space. Ekostar heating system provides an opportunity to receive these “rays of life “at any time! It is known that the Sun heats the Earth and all the objects on it. Air is already heated from Earth surface and objects on it. Ekostar heating system works on the sunlight principle, not warming the air, but surrounding objects (walls, floors, furniture, living objects), which in turn heat the surrounding environment itself, making the Ekostar heating system revolutionary.